Mike Manzoni reports from Andover, where Columbia Gas has stated it will compensate customers affected by the gas explosions earlier this month. 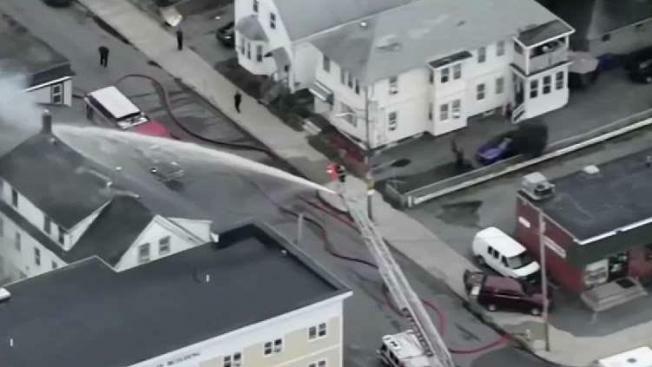 Residents impacted by the gas explosions in the Merrimack Valley earlier this month could be receiving a payout from Columbia Gas. The company has said it will pay its customers for any losses related to the disaster that rocked Lawrence, Andover and North Andover on Sept. 13. This includes payments for bodily injury, property damage, business disruption and inconvenience from not having gas. Columbia Gas also claims it will pay customers who want to switch from gas hot water heaters to electric ones. "Now, people are home and they have electricity," Lawrence mayor Dan Rivera said. "And now the next step is, 'how do we bring some normalcy to them?' And that is -- yeah, they can get their hands on some food, but they don't have a place to cook it. And, yeah, they have water, but they don't have it heated. Columbia Gas has established a 24-hour hotline for customers seeking compensation, 1-800-590-5571. In addition, Columbia Gas is working to provide hot plates and space heaters to residents who are in need. Fire officials in the area are imploring residents to use these items safely to prevent any additional fires. "Hot plates should be used on the counter surface and turned off when not in use," State Fire Marshal Peter Ostroskey said. "Keep a one-foot circle of safety around the hot plate free of items that can catch fire like oven mitts and paper towels." The Department of Fire Services has compiled a list of measures residents affected by the gas fires can take to stay safe while using these makeshift items.